„Our flight time today will be fifty-five minutes in the air, one hour and five minutes gate to gate.” So announced the flight attendant, and shortly thereafter we took off into the cold Canadian skies on yet another Rapidair flight. This is the label Air Canada uses to designate its shuttle-like air service in the triangle between Toronto, Montréal and Ottawa. Given the population density, economic activity and wealth of the triangle, it is an attractive and busy market, with 3 airlines competing with VIA Rail, bus lines and the option of 6h behind the wheel. Despite all the options, the price tag of a round-trip on Rapidair is such, at $400 to $600, that business travellers make up the majority of the passengers. And these folks value frequency – they want there to be a flight whenever they need one. 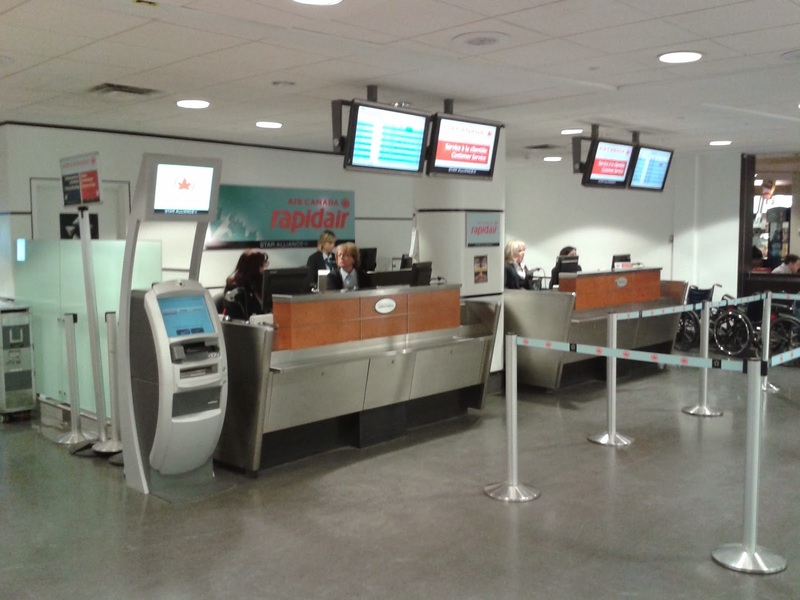 So Air Canada alone offers 76 flights between Montréal and Toronto every weekday, with hourly service early to late and departures every 30 minutes during peak periods. Together with WestJet and Porter, there are over 200 flights each weekday: Like back in the days of the Berlin air lift, planes come and go continuously. There is even service to the centrally located Billy Bishop airport on an island right in front of Toronto’s downtown, cutting out the long drive from the city’s main Pearson airport. Recently, work saw me take quite a few Rapidair trips. Bit by bit, that “seasoned air commuter” routine started settling in. I book tickets on increasingly short notice. I cut it close with getting to the airport. I stand-by on earlier flights. I start recognizing the crews. And I have sampled my way through the entire in-flight snack basket. Getting on Rapidair has become almost as normal as getting on the métro - albeit with more tedious security proceedures. Of course, the mileage junkie in me relishes every opportunity to go travelling, and although they are short, even Rapidair flights earn valuable points. But the travel romantic and the air commuter personae don't get along well. One still wants to get excited and curious, the other sighs at the prospect of yet another hop to Ontario. Yet there is hope: Sometime soon, the air commuter wil go on another Rapidair to Toronto. But once there, the travel romantic will take over and connect to a flight on an unknown airline, to a far-away and exotic land. It's a compromise made in heaven. For now, however, I have to turn off any electronic devices, fold away my tray table, and fasten my seat belt again: Fifty-five minutes of Rapidair are over.